"We are asking mobile manufacturers to see if all mobiles made in India should be inbuilt with iris or thumb identification system to as to help Aadhaar-enabled transactions," NITI Aayog CEO Amitabh Kant said. Soon your 12-digit Aadhaar number could replace all card transactions as the government is gearing up to strengthen the Aadhaar enabled transactions as part of its drive to help India become a cashless economy. The move, which is part of an all-round approach towards enabling digital payments and is being driven by NITI Aayog, would also see government soon coming out with a clear-cut defined policy to disincentivise cash transactions in the country. "The Aadhaar-enabled transactions are card-less and pin-less. 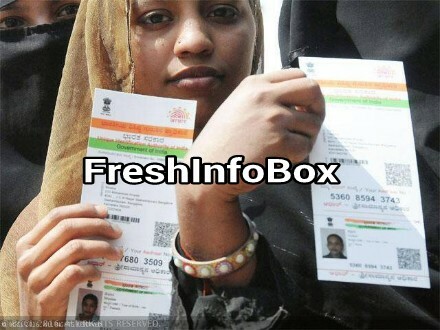 This would enable android phones users to digitally transact using their Aadhaar number and fingerprint/iris authentication," Ajay Pandey, director general of the UIDAI said. According to Pandey, this would require a multi-pronged strategy, including talking to mobile manufacturers, merchants and banks, and the government has already started working in different directions to help achieve this. "We are asking mobile manufacturers to see if all mobiles made in India should be inbuilt with iris or thumb identification system to as to help Aadhaar-enabled transactions," NITI Aayog CEO Amitabh Kant said. Kant is part of the chief ministers committee which will lay out a roadmap for implementation of digital payments over the next one year. The first meeting of the committee would be held on Thursday. According to Kant, the government is simultaneously creating a system of incentives/disincentives so that cash transactions become more expensive and people are incentivised enough to pay digitally. Kant, however, refused to divulge details of what the incentives could be. After its massive demonetization drive launched on November 8, the government had said that no additional charges will be levied on digital transaction until December 30. While merchants continue to charge 2% extra on transactions even now, the scheme would end by the end of the calender year and hence the government wants to put in place a proper system to continue this on sustainable basis. Meanwhile IT secretary Aruna Sundarajan said that the ministry has kept aside Rs 100 crore to incentivise enrollment of merchants on to the digital platform to help push the drive. "IT department is providing incentive of Rs 100 for every merchant enrolled through over two lakh common service centres across India," she said. "The ministry will undertake a major outreach communication campaign starting from Monday to ensure that every segment of population is enables to use one of other mode of digital payment." she added.